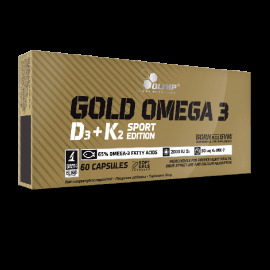 > CATEGORIES>Vitamins>GOLD OMEGA 3 D3 + K2 SPORT EDITION - 60 CAP. GOLD OMEGA 3 D3 + K2 SPORT EDITION - 60 CAP. By buying this product you can collect up to 18 loyalty points. Your cart will total 18 points that can be converted into a voucher of 0,54€. A dietary supplement with a high content of omega-3 with vitamins D3 and K2. Premium fine concentrated cold-water fish oil with a 65% standardised content of omega-3 fatty acids supplementing the diet with essential omega-3 fatty acids. 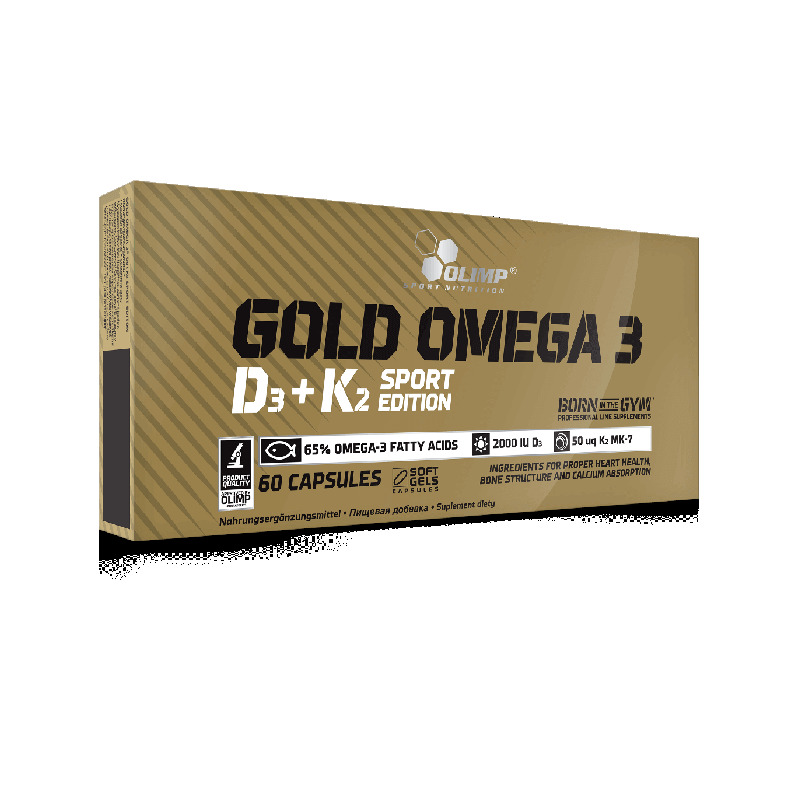 Gold Omega 3® D3+K2 also contains a high amount of natural vitamin K from natto, featuring in its most digestible and active form - menaquinone-7 (vitamin K2). The product has been supplemented with 2000 IU of vitamin D (D3).